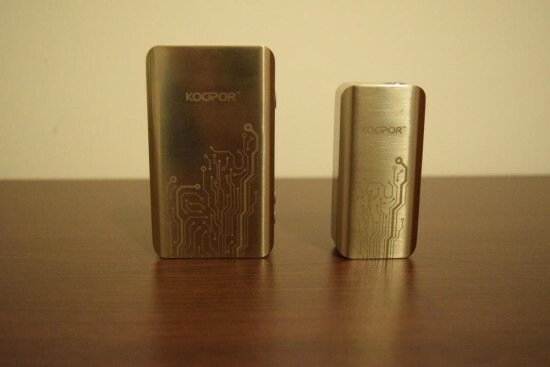 After the success of its first very first mod, the Koopor Mini 60W TC, Chinese company Koopor has decided to up its game by launching an even more impressive temperature control device, the Koopor Plus, which has all the features of the Mini, plus extended battery life, support for stainless steel coils and, best of all, a very competitive price. 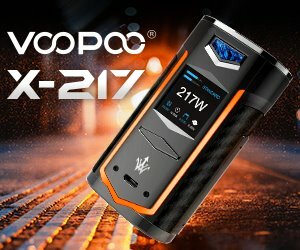 For those of you who are not yet familiar with the Koopor brand, it’s a young Shenzen-based company owned by the same group behind the much more popular SMOK. They’ve barely been on the market for a few months now, but they already have two very popular products out, and more in the pipeline, I’m sure. 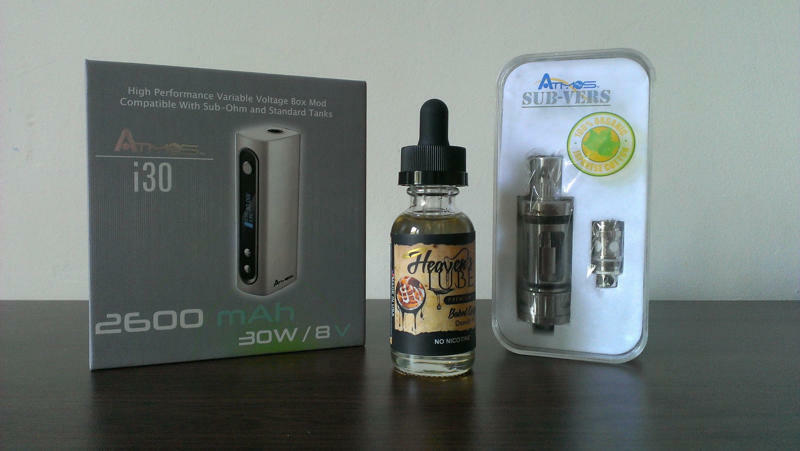 Before we get into the actual review, I should point out that the Koopor Plus is not a device for beginner vapers. If you’re just getting familiar with variable voltage/wattage vaporizers there are simpler, more user-friendly devices out there, like the Atmos RX i30, for example. This is an advanced regulated mod that you have to work your way up to in order to fully appreciate and use to its maximum performance. There are also some safety issues to consider, so please, keep safe and educate yourself before messing around with such high-power mods. 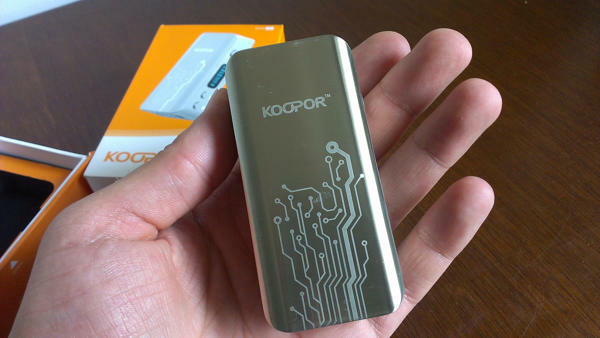 In a nutshell, the Koopor Plus is a bigger, more powerful and feature-rich version of the Koopor Mini. Design-wise, there are very few differences between the two devices, apart from the obvious size and weight discrepancies. 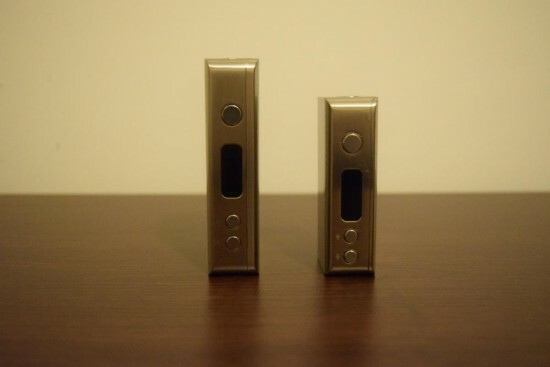 They have the same shape, they are made of the same stainless steel and zinc alloy, the button design and layout is the same, and even the magnetic battery cover is almost identical. 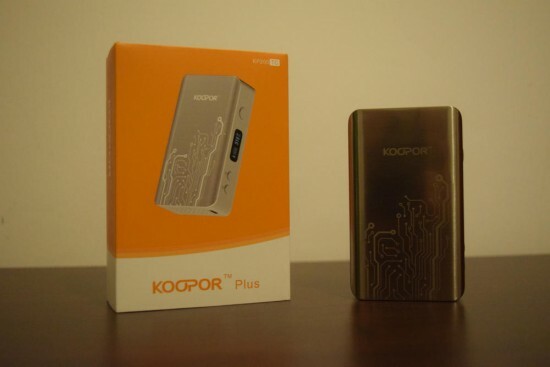 But while the Mini only has a maximum power output of 60 watts, the Koopor plus pushes the limit to a whopping 200 watts. Not that I would ever venture into that realm of vaping, or anywhere close to it, but I’m pretty sure cloud-chasing fans are going to be impressed with the extreme capabilities of this mod. If you’ve already used it or at least gone over my review of the Koopor Mini, you already know it’s one of the smallest 60W temperature control mods on the market today. It’s basically the go-to device for serious vaping on the go, simply because it’s so easy to carry around and fits perfectly into your hand. The Koopor Plus is another story. At 100mm x 59 mm x 24.5 mm and weighing 245 grams without batteries, this bad boy is among the biggest and heaviest mods you can buy. However, if you’re looking for raw power, the 200 W output more than makes up for the cumbersome size. The Koopor Plus is a great looking mod with excellent build quality, although there are a couple of things I’d like to see improved. First of all, just like the Mini, this thing has a lacquer coating that starts to come off if you don’t take great care of the device. If you put in your pocket with something abrasive, or even in a tight jeans pocket, the coating will start to come off. After it’s all gone, the mod looks just as good, so it’s no big deal, and Koopor even includes a bright orange silicone sleeve, if you want to keep the device looking brand new. The second flaw I’d like to see fixed is the rattling of the metallic buttons. To be perfectly honest, the unit I was sent for the purpose of this review had absolutely no rattling. No matter how hard I shake it, I can’t hear a thing, but I’ve seen a number of forum posts from users complaining about this issue, and there are a few video reviews that prove some units do have this small issue. I guess it’s a matter of luck if you end up with a rattly device or not. However, this doesn’t affect the performance of the mod at all. According to the company’s official website, the Koopor Plus is “a box that can breathe” and looking at it, you can tell that’s not just a marketing gimmick. 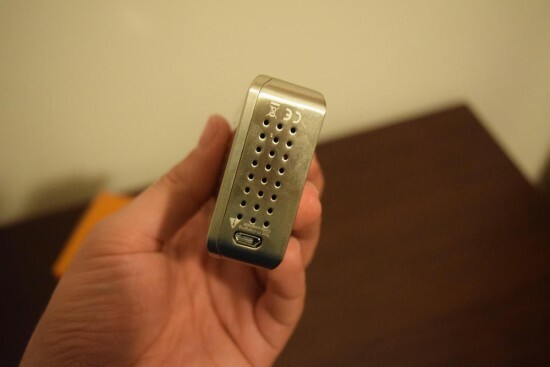 The magnetic battery cover features no less than 100 fairly large air holes to keep the batteries cool even under heavy duty, and under it, the mod body itself is punched full of air holes to keep the internal circuitry from overheating. If you turn the device upside down, you can find an extra 24 air holes. That’s the most venting options I’ve ever seen on a mod. 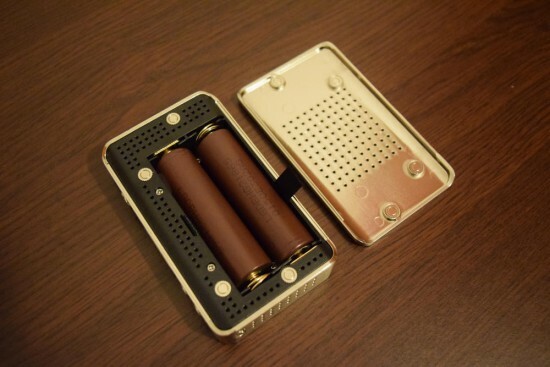 And speaking of the battery cover, I was really pleased with its design. Not only does it snap into place thanks to the eight powerful magnets – four on the cover and four on the mod – but it doesn’t wobble at all during use. 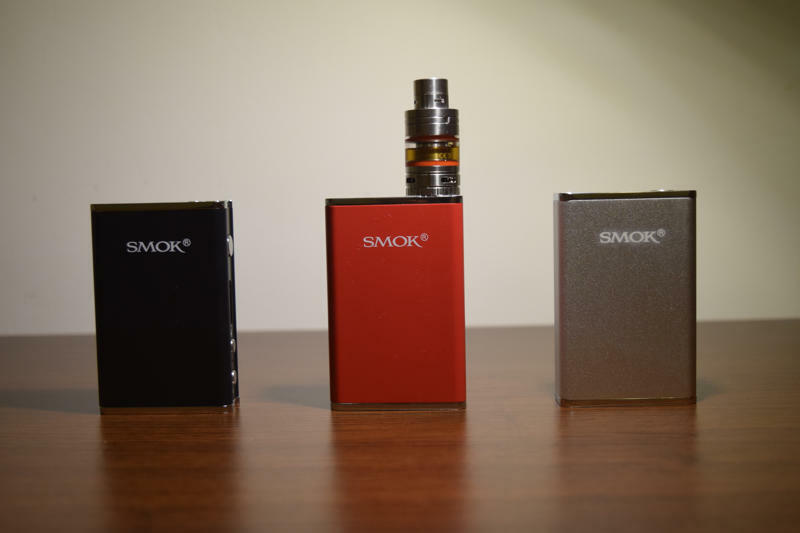 I liked the magnetic cover of the SMOK X Cube 2 that I reviewed a while back, but because it came off to the side, it wobbled a bit in my hand sometimes, although it never completely detached. The magnetic battery cover of the Koopor Plus and the Mini slides down, so there’s absolutely no wobbling when gripping it. 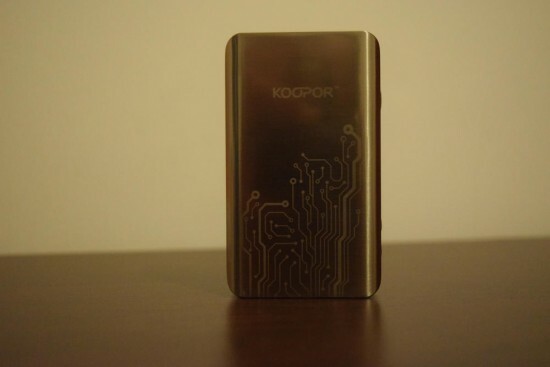 The micro USB port on the bottom of the Koopor Plus might have inexperienced users believe you can actually charge it like you do cigalikes or eGo batteries, but that’s not the case. That port is for firmware upgrades only. 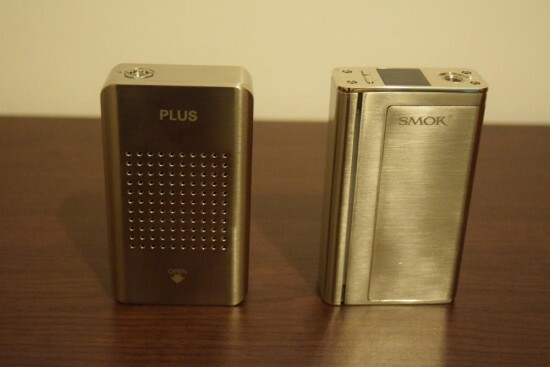 The device works with dual 18650 batteries that don’t come with the mod, so you have to buy them separately. You also have to get a proper battery charger that works with the type of batteries you’re using. I’ve personally been testing the Koopor Plus with two LG HG2 INR batteries, and I couldn’t be more pleased. They’re rated at 3000 mAh, so you’re getting great battery life on your mod, and they have a high enough amperage (20A constant current, 35A pulse current load) to handle extreme builds. 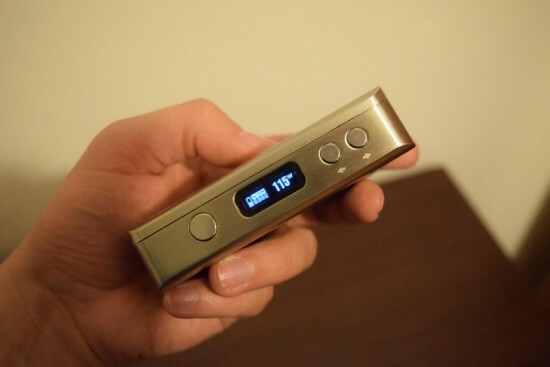 The LED display on the side of the mod features all the information you need. 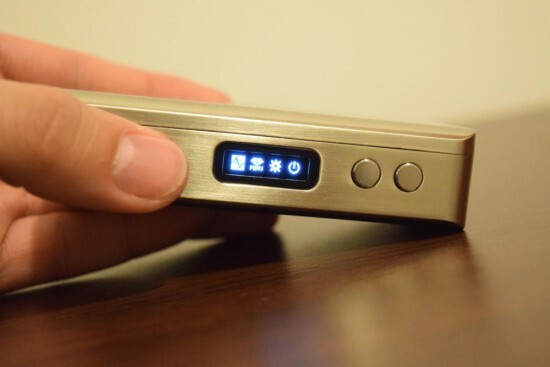 There is a battery life icon, the resistance of the atomizer and the current wattage/temperature setting. While the fire button is pressed, the current voltage is displayed on screen and the wattage is replaced by a timer which allows you to see how long your draws are. While the button layout and LED screen placement of the Koopor Plus are identical to those of the Koopor Mini, the menu is slightly different. You can access it by pressing the fire button three times in rapid succession. There a total of 4 main icons, some which lead to submenus. The first one lets you choose between wattage mode and temperature control mode. For wattage mode, you also get to fine tune how the power is delivered to the atomizer, by choosing between Minimum, Soft, Normal, Hard and Maximum. At Minimum, the device initially fires at minimum wattage before reaching the value you have inputed, while at Maximum, you get full power from the moment you press the fire button. These effects allow users to customize their vaping experience according to their preference. In the temperature control submenu, you can choose the type of wire your coil is made of (nickel, titanium or stainless steel) and set the TCR (Temperature Coefficient of Resistance) accordingly, to ensure the feature actually works as it should. Keep in mind that kanthal wire coils are not suitable for vaping in temperature control mode. The second main icon is the puff counter, which you can set to a maximum value and reset whenever you like. The third icon leads to another submenu where you can adjust the contrast of the LED screen, rotate the screen, set the device in stealth mode and adjust the initial ohm reading of the resistance for temperature control mode. Finally, the fourth icon allows you to turn off the device. To power it up again, simply press the fire button five times in rapid succession. It’s a fairly straightforward menu, but you have to know what you’re doing before messing with settings like TCR, for example. Luckily, the Koopor Plus comes with a thick leaflet/user manual that explains most of its features. I mostly still use kanthal to build my coils so I have been using the Koopor Plus in wattage mode for a lot of the past week and a half. As I mentioned at the beginning of this review, I haven’t used it at the full 200 watts yet, nor do I plan to in the near future. I enjoy a nice warm vape, but I like to keep the resistance of my coils at above 0.25 Ω, and 200 watts is way too much. My sweet spot was around 85 watts, but I did crank it up to 100 watts out of pure curiosity. The mod performed great, and the vapor production was through the roof, but I just felt the flavor of my Cuttwood Mega Melons e-liquid was a bit muted. I did however set the Koopor Plus to Max., to get the coil nice and hot. While I didn’t have any temperature control compatible wire around the house for this review, I did have a few nickel and titanium coils for my SMOK TFV4 sub-ohm tank, to test the TC feature of the Koopor Plus. My experience with this is fairly limited, so I can’t confirm that it works flawlessly, but I was personally satisfied. After I set the type of wire, the number of coils and the temperature in the settings menu, the mod would heat the coil to the specified temperature, after which the “Temp Protected” message appeared on the display. I didn’t get any burnt taste, so in my book, that’s pretty good. But I’m sure you can find better info on this topic in other reviews. The Koopor Plus fires from 6 to 200 watts in wattage mode, while the TC temperature can be set to between 200 – 600 degrees Fahrenheit (100 – 315 Celsius). In wattage mode, the Koopor Plus supports atomizer resistances from 0.10Ω to 3.00Ω, while in temperature mode, supported resistances range from 0.08Ω to 3.00Ω. Voltage ranges from 0.35V to 8.00V, so make sure your setup is between those limits before using it with this device. If you’re not sure, use a voltage calculator. In terms of safety, the Koopor Plus comes with the usual protection features we’ve come to expect from high power regulated mods – instant atomizer resistance reading, overheating protection, short-circuit protection, low voltage protection and a 15 second cutoff. These should keep you safe, but you shouldn’t just rely on them. These safety features could theoretically fail at some point, or your device could be faulty, so it’s important that you keep your self safe. Don’t push it over its limits, check the resistance of your coils before using them with the Koopor Plus and make sure you’re using reliable high drain batteries. 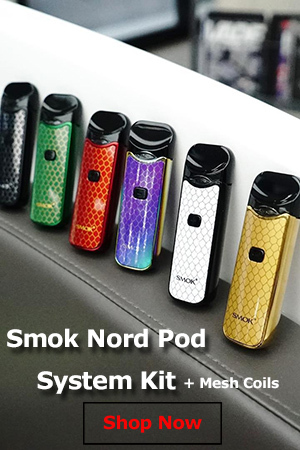 All in all, I would say the Koopor Plus is very similar to the SMOK X Cube 2, minus all the bells and whistles of the latter (Bluetooth connectivity, dedicated web application, LED firing bar, etc.). The Koopor also has a higher poer output compare to the 160 W X Cube 2, but unless you’re a die-hard cloudchaser, you don’t really need the extra 40 W. It also supports stainless steel wire coils, something the SMOK mod did not at the time of my review, but they are both upgradable devices, and I’m pretty sure they will get very similar upgrades in the future. Finally, the last thing I want to touch on is the price of the Koopor Plus. Normally, I would expect this kind of high-end temperature control mod to cost upward of $100, but you can actually get it for half that. That’s right, you can actually buy this beautiful, powerful device for just $49.99, which I personally think is an unbeatable price right now. Sure, there are probably better TC mods out there, although none that can push out 200 watts, but for the price you’re paying, this is undoubtedly a best-buy. I am very satisfied with the Koopor Plus. I purchased this device after my Smok X Cube II burnt itself out, waiting on replacement from Smok. This product is awesome for cloud chasing. I must be one of the lucky ones as my device does not rattle. This was my first regulated mod, amd I love it. Now the 4 stars is because a couple nights ago my button started going out but it would come right back to life. Last night my button finally gave out.. after about 2 months of having it. Has anyone found a fix for when the mod just wont turn on with charged batteries, my mod was working ten minutes ago and now its not I need to fix this as this is the only mod I have at the moment. Obese by today’s standards but a reliable workhorse. Menu and scratch resistance are not strong points. 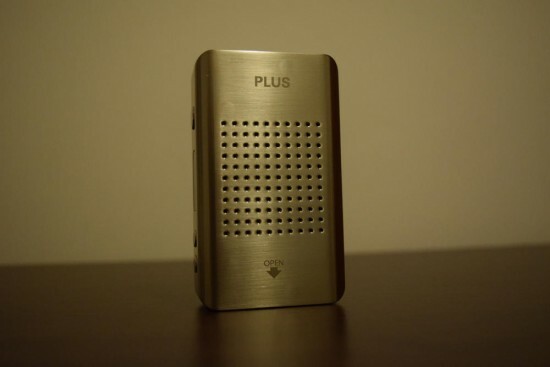 The Plus hits hard, has good battery life, and is not a throwaway device like an Alien. Just too big and heavy to use on the go.